Richard has a selection of residential and business properties to let in Melbourne (Derbyshire), Ashby (Leicestershire) plus a number of rural lettings near Ashby. If you are seeking to rent an apartment, house, rural property, office or shop in the South Derbyshire, Leicestershire and Staffordshire border area then please send your details using the online contact form at the bottom of this page. The properties are listed below, together with the rental price range. 1/2 bed Selection of 17 unfurnished apartments in Melbourne and Ashby. Price range £375 to £450 pcm. A selection of 1 / 2 and 5 bed properties in rural locations around Ashby. Price range £800 to £1800 pcm. A selection of shops, offices and workshops in Melbourne and Ashby. 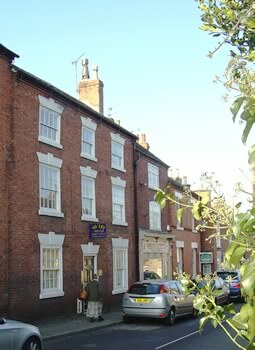 This includes the William's Yard development which provides 11 shops and offices.